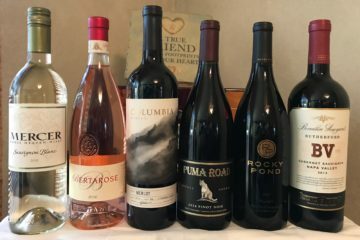 We recently had the unique opportunity to participate in a Wine & Glass Symposium & Tasting featuring RIEDEL Vinum XL varietal specific wine glasses. RIEDEL (rhymes with needle) Crystal has been producing glass in Austria for 300 years , spanning 11 generations of the Riedel family. The company was originally known for high quality and high priced lead crystal, mouth blown in Austria. As technology and the world evolved, RIEDEL kept pace utilizing the latest machine blown technology with a seamless pulled stem. RIEDEL has become a leading force in grape varietal specific stemware which translates a wine’s message to the human senses. 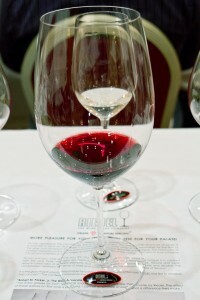 This symposium was designed for us to experience wines served in “varietal specific” glasses for true wine lovers. The glasses in the Vinum XL series were developed in 2009 for big, bold and concentrated wines (favorites of Mr. WINEormous.) 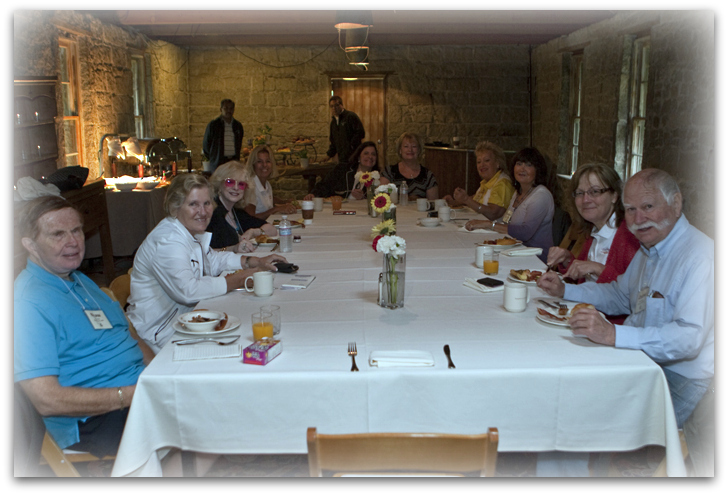 As we sat at our tables we each had a place mat before us. There were 5 glasses, each placed on a different circle. Circles were labeled: Montrachet (Chardonnay), Riesling, Pinot Noir, Cabernet Sauvignon, and curiously, Joker. I began flipping through the Riedel catalog looking for a description of Joker although it did not match the other Riedel stemware appearance in the least. Finding nothing, I decided it must be a multipurpose glass, similar to a joker in a deck of cards. 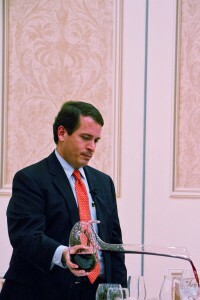 Now that we knew what to expect from a fine RIEDEL glass, I had to admit my handicap at the tasting. I am not drinking alcohol. Mr. WINEormous to the rescue. 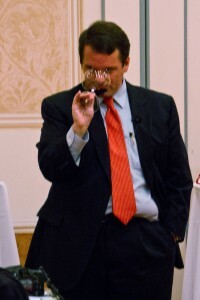 He tasted, providing feedback on all aspects of the wines. I observed and sniffed. Tommy said 70-80% of taste is in the nose. My sniffology method shall serve me again. RIESLING GRAND CRU – My experience begins with sight. A clear glow of pale lemony liquid dancing as the light hits the swirling glass. I move on to touch. These are glasses you want to hold; balanced, not top heavy; sleek, not fragile. The aroma is crisp and pleasant revealing balanced layers of potential taste. With a complexity I had not previously found in a Riesling. This wine was saying “Drink me.” Quickly extracting my nose from the glass, I set it down. I tasted this wine first from the Riedel glass. As Laura said, the nose was enticing. When I put a wine to my nose with a great smell, its often difficult for me to get around to drinking it. Such was the case with this wine, the 2009 Grans-Fassian Riesling. 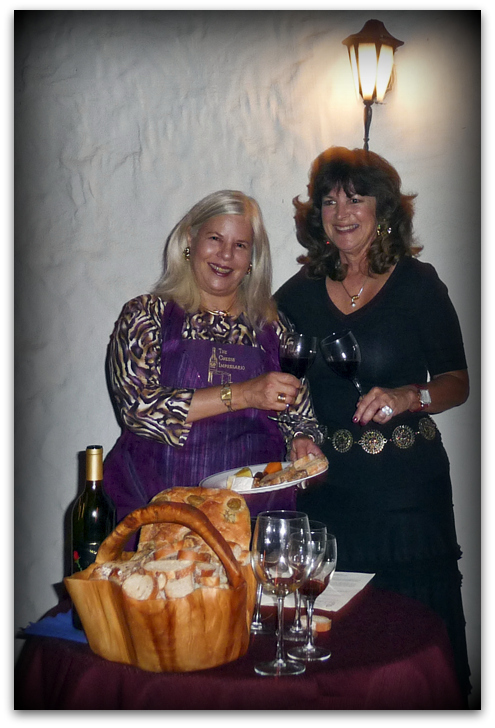 When I did taste, it was a delightful wine, well balanced with bright acidity and distinctive fruits. ENTER THE JOKER – We now discover that the Joker is not a part of the RIEDEL line at all. It is the standard wine glass used in many restaurants and hotels for wine service. It is on our place mats for comparison purposes only. I noticed it was smaller, the rim was thicker and there were evident water spots on the bowl. We were asked to pour some Riesling into the Joker’s bowl. Obviously the initial visual effect was significantly diminished. No sparkling colors danced before my eyes. In fact the Joker seemed to be made of much thicker glass all over with much less wine exposed for sniffing. First sniff – acidity. Had the Riedel glass allowed the acids to escape more readily? Sniff-sniff. Where are my pleasant layers? In fact where are any aromatic sensations? Now this wine is totally off-balance and I don’t have the slightest desire to taste it, or even recommend it. 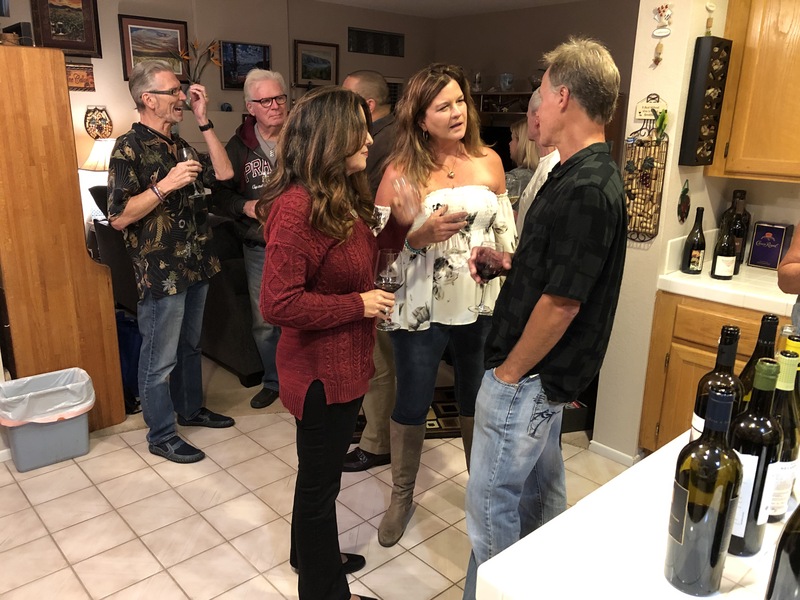 Now that Laura has described how the wine struck her in the Joker, I can echo what she said and add that it was also an entirely different wine on the palate. It wasn’t bad, it just wasn’t anywhere near the delicious wine I tasted from The Riedel glass. MONTRACHET – Chardonnay was poured in another sparkling glass. Yellow hues like sunbeams glistened on the place mat. The appearance was vibrant and appealing. The glass itself, with a generous rounded bowl shape, looked like a red wine glass. However it was designed for new world Chardonnay. The bouquet was fruity and smooth. We were told this stemware was designed to throw off gasses, yet promote acids and minerality. I continued to pick up different nuances as I swirled and sniffed. The Chardonnay, from Mantanzas Creek, has a beautiful balance and lingering finish from the Riedel stemware. I experienced everything I love about Chardonnay. P.S. 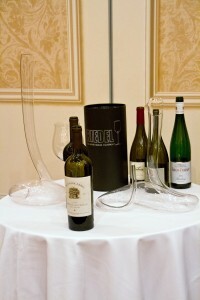 The Riedel “Eve” decanter is high up on my wish list! Pouring this delightful Chardonnay into the Joker had instant negative results. The pleasant aroma had dissipated. Sniff. Nothing, Snff – no layers, no dimensions – no nuances. Tommy made some observations that this Joker was too thick at the rim to impart much flavor on the palate. He likened this experience to a really weak handshake. Blah. Once again, drinking the exact same wine in the Joker was a shockingly different experience. Gone was the balance. The finish faded quickly. 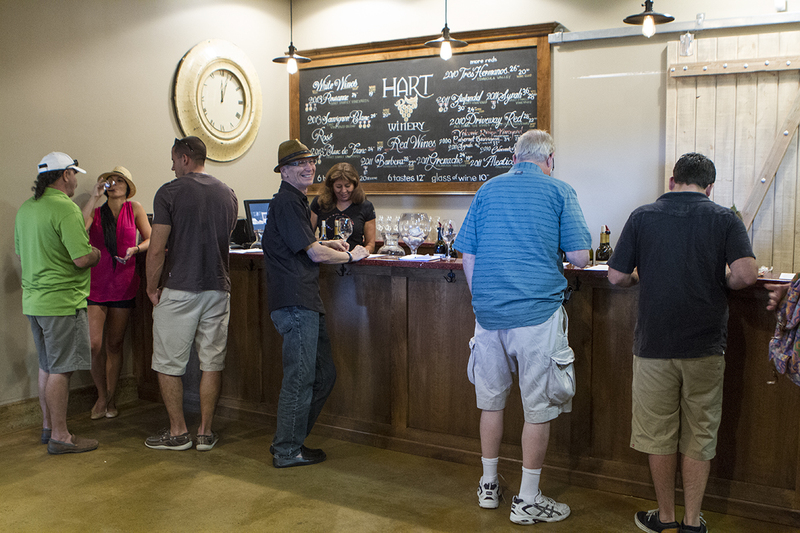 Most tasters quickly transferred their wine to the appropriate RIEDEL glass. I love Pinot Noir. This Central Coast Pinot from Cambria shone in Riedel stemware. Quintessential Pinot characteristics. Perfect balance. Lingering finish. A trend was developing rapidly. The elegance this wine displayed earlier was gone. Again, it wasn’t a bad wine, it was just nowhere near the elegant Pinot I had enjoyed moments earlier. CABERNET SAUVIGNON – I know most of our friends and family like BIG Cabs and they relish them out of huge glasses similar to the Vinium XL Plenty of swirl room and the exceptionally high walls combine to create what Tommy called “tannin tamers.” In this glass my wine smelled like rich smooth fruit, oak, fine leather and rich soil. I forgot to mention the appearance through the crystal – opulent. I’m ready for a fine cigar or a juicy filet mignon. What she said. On the palate this Freemark Abbey Cab was bold, with characteristic Cabernet fruit, excellent balance and a long finish. A wine worth savoring. By now the poor Joker is a tired shard of itself. But pour I must. Whew-phew. this was my worst experience yet with the Joker. when i brought the glass to my nose the strong odor of alcohol stung my eyes and nose. I instinctively pulled my face back and let out a dusty cough. Maybe this is the only way red wine haters have tasted red wines. What a shame. The Cab sealed the deal for me, not that it needed sealing. Like many of my fellow tasters, we entered this demonstration quite skeptical. Like the majority of the group, I left a true believer. The Cab out of the Joker was a mere shadow of itself. Participants came home with a set of the four RIEDEL Vinium XL glasses we described. Now we are ready to amaze our friends with all the nuances that varietal specific glassware can offer. Sounds great, you say, but I have no room to collect varietal specific glasses. 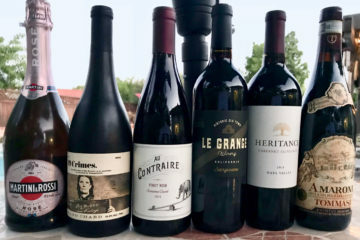 Tommy Leman would suggest you look to what wine you drink the most and build from there one glass at a time. Don’t worry about finding Jokers, they’re all around us. I bought hubby some of these glasses for his birthday so we should do our own taste test on our friends!! I think it’s a great idea Annie. Let’s do it!